What’s up everybody? 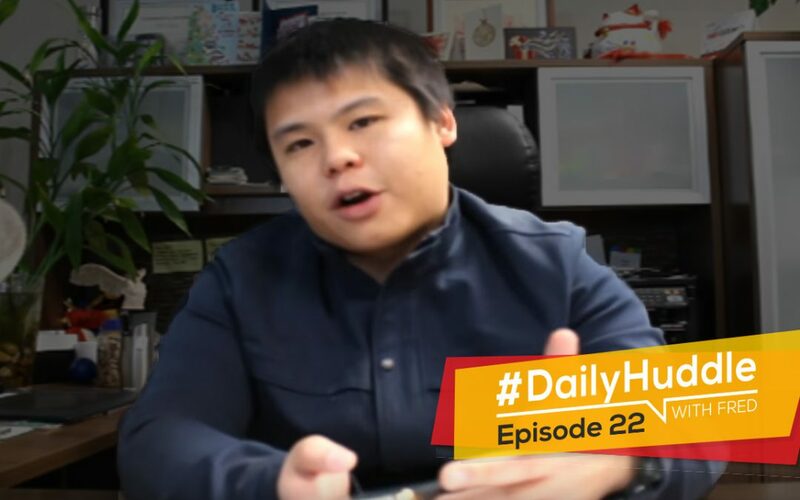 Fred Lam here and welcome to our daily huddle episode number 22. Today is still Thursday. I know that if you are on the East Coast obviously today is Friday for you because it is already past midnight as of right now. The reason why I’m always on late for our daily huddle on Thursdays is really because I have a members only webinar that happens every single Thursday and I always need to put my members in front of anything else obviously because I need to basically make sure that they are all taken care of. On Thursdays I actually come on at around this time depending really on my schedule but I will come on at around 9PM Pacific which is midnight Friday for you guys in the East Coast. I don’t know where you guys are from. I know that there are a lot people that are from UK, that’s morning for you guys. Some of you guys maybe from Singapore, Malaysia or anywhere around the world. Again, welcome to our daily huddle! One of the main topics that I really want to cover is the best traffic source for affiliate marketing. Put in a 1 into the comment box on Facebook or if you are on YouTube right in the chat box if you are an affiliate marketer or you’re trying to create a business for affiliate marketing, so you’re basically selling other people’s product and it’s usually a digital product and you’re making a commission right in between. If you are an affiliate marketer this is obviously something that is going to be very awesome for you because we’re going to talk about the best traffic source. I’m not going to talk about sources; I’m going to talk about the source. The one thing that I would actually ask you to do if you are trying to build affiliate marketing and you want some traffic right out the gate; Let me give you a hint it is not Facebook. It is not Facebook, as much as I love to say it I’m not going to say it’s Facebook. Obviously if you are able to unlock Facebook for affiliate marketing it can be awesome. You can get a lot of traffic and sales. However, there’s actually a much easier traffic source when it comes to affiliate marketing. I didn’t really talk about this publicly before; however, I actually gave away a free course on this traffic source about a year and a half ago and people absolutely loved it. So take a guess on which traffic source that I believe is great for affiliate marketing. Put it right into the comment box if you are on Facebook and put it to live chat if you are on YouTube. I just want to basically ask that question just to see if you guys are basically in line of what I am thinking. I got Michael Jameson from YouTube saying “back links”. The answer to that is no. I think that back links are going to take forever. Is it SEO? I am not an SEO but I know that for me I love instant traffic, instant results, and instant data so I can actually control my business. Some of you guys are guessing it right. Gift shop for Occasions guessed it right. It’s actually Bing. First of all, Bing is a much smaller network compared to Google and Facebook but there are still a lot of people on Bing. And the beauty about Bing is that because they’re such a smaller network, they are super lenient when it comes to compliance for affiliate marketers. As we all know if you actually do a direct link for your affiliate link for Facebook and Google, overnight you’re going to get your account suspended but Bing actually allows it. The best part about Bing is that they allow opt-in page. If we actually look at Bing from another standpoint or from another perspective these people who are on Bing whom you’re advertising to are what we consider hyperactive buyers. Here’s what I would do, let’s say that you’re affiliate marketer for Clickbank products. Well a lot of Clickbank products are basically giving solution to a problem that exists in the existing market place or in our [inaudible 05:19] right now. Let me take dog training for example. There are several really amazing dog training products that you can actually sell as an affiliate marketer on Clickbank. Guess what, if someone were actually go to Bing and search for “how to train my dog” chances are that person who get presented that affiliate offer he/she has a very high chance of buying that product. Obviously there are other traffic sources like Clickonomy, it’s definitely a great one. But with Clickonomy you have to write email copy, you have to basically look at couple of key indicators right out the gate. With Bing once you set it up and you’re able to start generating commissions for your affiliate offer it is going to be consistent because these are hyperactive buyers. You’re not going to hit something called exhaustion point because every single person who actually goes into Bing to perform a search is a different person every day. That’s something you want to keep your mind up because this is actually the first question that we have today. Let me pull up that question right now. I’m going to do something pretty crazy in 2018 that all revolves about traffic. Put in a ME into the comment box in Facebook or put in a ME in YouTube if you guys want more Bing training. That’s what you guys want, right? You want to learn more about it and master it at the same time. It doesn’t matter if you are using it for ecommerce, affiliate marketing, email marketing or local businesses or agency at the same time. [0:07:25] Question 1: What is the one best traffic source which can i start my business from as an affiliate marketer ? This is actually the question that Ghazi brought up. Again, I answer your question already in great detail. You want to basically take look at it. I would have to tell you Bing traffic is cheap. It is cheap especially if you are able to find keywords and market that is great. You’re not going to get floods of traffic. What you are going to get is a decent traffic. I’m just being upfront and honest with you. However, if you are able to master Bing you can simply replicate it for a ton of different affiliate offers and it just very amazing and great for your business. Rachel, yes Google ads get way more traffic than Bing but if you’re new and starting out obviously I would suggest you go after Bing first because Google ads has a lot more restrictions and a lot more other things that you need to worry about. If you’re trying to advertise an affiliate offer on Google and you don’t know how to play it safe and play by the rules, you will get your account suspended right away. That’s what it is. [0:08:45] Question 2: Will you please explain :pixels:? I keep hearaing the term “pixels”, You mentioned them as well. I know images are made of pixels, but I get the feeling there is more to them than that. Will you please explain :pixels:. First off, I believe you are pretty new to our online world and the world of advertising. Pixel, yes you’re right it can be talking about the image pixel. That’s true. However when talking about pixel it’s really a specific code that Facebook gives to every single advertiser that gives you the ability to track the performance of your campaign to actually run what we call retargeting campaigns. It’s really a snippet of code that is dedicated for your ad account that you use to optimize for your ads. That’s what pixel really is when I’m talking about pixel. I’m definitely not talking about the pixel on an image because that’s not really going to help for your ads. Obviously, if I would have to say “if you have more pixels, the pixel size” yes that will help but when I talk about pixel for Facebook ads I’m really talking about the snippet code that will help you optimize your ads and basically run retargeting, track the performance and track a lot of other things. That’s what really pixels are. If you want an in-depth definition of pixels simply just go to Google and search for Facebook pixel. There’s going to be a whole article about it but in brief that’s what a pixel really is and obviously, that’s very important for you to understand. [0:10:44] Question 3: If i remove a facebook pixel from my shopify store and repurpose the shopify store for different products, would it be okay if i gave it a new facebook pixel reflecting my new ad account for the new shoify store? If I remove a Facebook pixel from my Shopify store and repurpose the Shopify store for different products, would it be okay if I gave it a new facebook pixel reflecting my new ad account for the new Shopify store? Great question and you already answered it yourself. Yes, that’s what I would do. Again, if you have a business manager account, you can create more ad accounts. What I normally do is if you obviously have already a Shopify store ad account with a pixel in there running and you want to actually change it, yes definitely get a new ad account because what Facebook is going to do is that they are going to take the initial ad account data and help you optimize on your new ad account and you new Shopify store. You don’t want that to happen. Obviously, overtime here’s what you have to do. If you decide that you no longer want to use the first ad account that has the pixel data in it and it is still in your Shopify store, here’s what I will ask you to do; delete that pixel from you first Shopify store and on the first ad account don’t run anything to it for like a good 90 days. Then basically throughout that 90 days your pixel is going to fall off and they will reset back to zero, now you have an additional ad account for your future purpose. That’s what I would do. 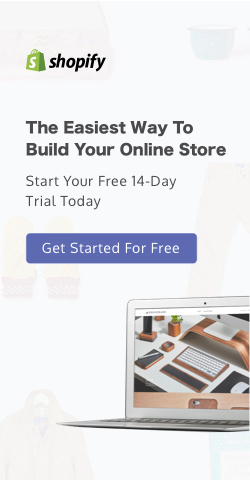 And yes, I agree with you that if you are creating a new Shopify store in a completely different niche; create a new ad account with new pixel so that you are basically gathering the correct data for your business. [0:13:03] Question 4: One is a general apparel store with cool accessories with mid to high ticket items $20-100. The other one is niche store with lower cost items from $5-50. Which store would you recommend to start with? Moving on to the fourth question of the day by Peter Parker. I’m currently reading a lot about e-commerce and have two Ideas for stores. One is a general apparel store with cool accessories with mid to high ticket items 20-100$. The other one is niche store with lower cost items from 5-50$. Which store would you recommend to start with? Great question! The answer if I were in your shoes I would actually start with a niche store. The reason why I would start with a niche store is only that if you’re going to general apparel store there’s a lot of things that you need to worry about. Don’t get me wrong.If you are able to dial in apparels it can do phenomenally well. If you look at the Black Friday and Cyber Monday statistics that Shopify has released the majority of their sales, the most market share for all their sales that had been given through Shopify is actually apparel. However, you have to really dial it in because sizes are the problem, fashion is a problem and you have to figure all that out since people are buying through internet or online. I’m just giving you a heads up on that. 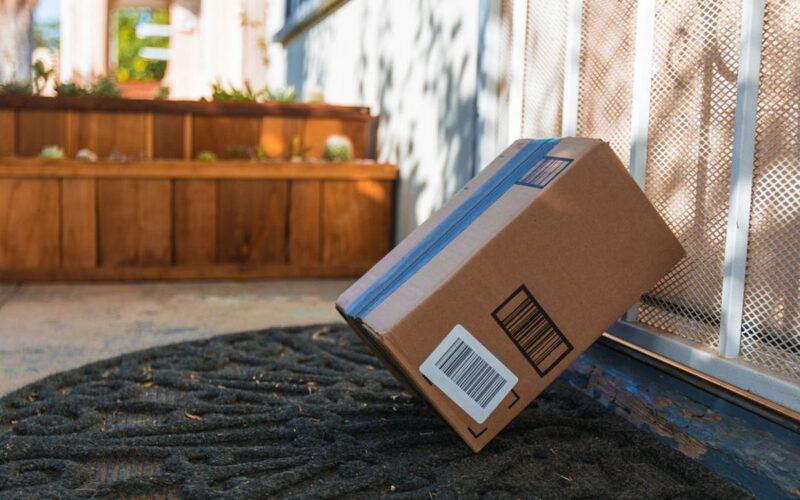 If it’s your first time running an e-commerce and you’re trying to figure out how it works and experience the process so that you know how to actually run a proper e-commerce store running a mid to high ticket is going to be tougher in the beginning than running a low ticket. I would suggest you to do the following. 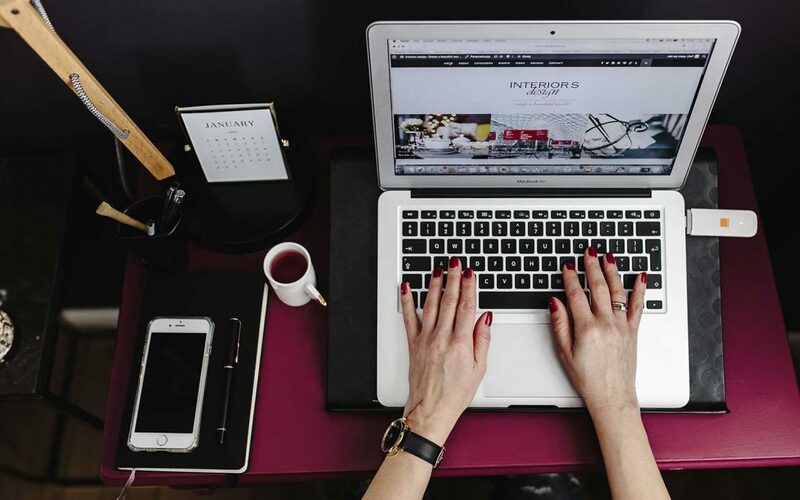 Run the niche store first, get your feet wet, understand the process, start running ads, start dissecting it and start really understanding how to run e-commerce store. Once you feel comfortable or you know exactly what you’re doing that’s when you want to go after your general apparel store with accessories going to the mid and high ticket because you have already gotten enough experience into tackling the mid to high ticket market. That’s what I would do if I were you. [0:16:29] Question 5: Would you please talk about what an ad actually looks like when our FB page is always a part of it. I don't understand this. I could not find a way to see what the ad looks like once it is published and how prospects see it. And now I've turned it off. Moving on to the last question by Jennifer Watson. Good Evening, Fred! I want to thank you for giving us the opportunity to learn through your program. It is so well planned out and gives us so much in detail. I am grateful for you, your passion and for this program. Would you please talk about what an ad actually looks like when our FB page is always a part of it. I don’t understand this. I could not find a way to see what the ad looks like once it is published and how prospects see it. And now I’ve turned it off. Also, if not using DPAs and for just a simple page ad, can I still select Custom Conversion instead of Purchase when setting up our ads? You have two questions Jennifer. Your first question is, how do you actually see the ad in your page? Because when you go to your page it doesn’t show. That’s what we call a dark post. When you create an ad through the ads manager it is actually creating a post that does not exist in your Facebook page. It is hidden so there are two places for you to find back your ad on how it looks like. 1. You go into your ads manager, click on the ad set, click on the ad and there will be a link that say “view this ad” in your desktop or in your mobile and you will actually see it. The second way is through your business manager account. Inside your business manager there is something called the page post. When you go to the page post you will actually find something called the ad post. Inside the ad post it will consist of the ads that you have created that is hidden from your Facebook page so that’s where you find it. To answer your second question about custom conversions is that, yes it doesn’t matter if you are using DPA which is Dynamic Product Ads. You can still create a custom conversion for a particular product that you’re selling and that’s what Pixelbay does and simply choose the website conversion based on your custom conversion and not your purchase. You can do that with whatever kind of ads that you are running regardless if it’s Instagram ad, if it is mobile news feed, if it is an audience network you can absolutely do that. I hope that I answered your questions. That’s really it for our five questions for today. Put in a WOW into the comment box on YouTube and on Facebook if you guys loved our daily huddle today. Here’s another thing that I need to bring up. Today is Thursday, Rich Dad Summit is happening this coming Saturday so tomorrow is going to be your last day to actually get your $1 ticket for Robert Kiyosaki’s event. Also, it is going to be the last day for you to enter the raffle of winning a free trip to Vancouver and spend a full day with me. I’m going to pay for your flight and hotel. So if you want to join this raffle you have to get your $1 ticket for the Rich Dad Summit. The link to register for the Rich Dad Summit can be found above this video on Facebook and right below on YouTube in the description box. And on Monday December 11 at 9PM Eastern, I’m going to raffle right in front of you guys during our daily huddle to see who is going to get their flight and their hotel paid to come down to Vancouver, meet me for a day and spend a day with me to do one on one coaching and I can actually bring you around. URL shortener is basically turning long ugly links into short links. I suggest you to check out tiny.ie. I own parts of it. It can do so much more than anything that you can actually see. Again, that is tiny.ie. Daily Huddle is going to be on my schedule only because I’m doing this everyday and I cannot commit a specific time everyday but I normally come on live at around 9PM Eastern but on Thursday there’s no way I can come on at 9PM Eastern because I need to spend some quality time with my members inside Zero UP. I obviously put them in front of anyone else that’s why I usually come on later on Thursdays. Eddie, if you actually got three sales on first day so two things; 1. increase the budget by 20% or else it will affect the algorithm 2. is to actually create new ad sets with new targeting. You take the initial targeting that is working for you, put it into your audience insight, check if you can find similar audiences and then simply create new ad sets using the same ad. What I would actually suggest you to do is simply use the dark post method, find the post ID and use the same ID as the ad is converting well so you can [inaudible 23:08-09]. I hope that helped you out. Javir asked, “What is your opinion on Pinterest? Pinterest is amazing if you are in the kitchen market, gardening market and skin care market. It is dominated by females. Health, weight loss are going to be good there. You want to basically take a look at what niche you are in before you look at Pinterest. Great question! I was almost 17 years old when I started on building businesses or online venture. I do have to be honest with you; I got lucky because in the first year when I launched the first business I actually generated $4.6 million in 4 months. It was a lucky hit right out the gate, boom! Obviously I was such in a young age; I didn’t really have business foundation. My spending habits were ridiculous back then and we lost it all overnight. We basically screwed up some relationship with the bank and they decided not to actually process us anymore credit card orders so that business collapsed. Then from then on, I was able to create businesses on a fly pretty well based on the knowledge that I gained. 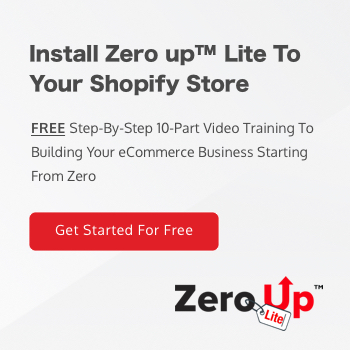 I cannot promise how fast you can become successful but if you understand each part of the process and really be dedicated to it and really take action you can see results pretty quickly with ecommerce. But also, at the end of the day you have to figure out one thing, success is defined differently by each person. Some people believe that success is basically having $1 million business. That’s what a lot of you would agree that that’s what it is. For me success, is more of how to actually build wealth not just money but wealth. There are a lot of different definitions so it really depends on what definition it is. Some people they considered generating $100,000 a year is still being successful. Again, it depends how you define success. I think you’re talking about Paypal not available for Shopify store in Pakistan. I think that’s what you mean. If that’s the question, not really as long as you can actually accept credit cards that’s going to be awesome. It doesn’t have to be Paypal but it’s great to have it as an addition. It does help conversion rate. But is it super important that you need right out the gate? Not really if your country is not available for it. As long as you can actually accept credit cards and that is fine. I normally test around five products a day. If you want to get quick success, you have to test as much as possible but I set a rule of five a day. That’s what I would do. Here’s the easiest part. One thing about Facebook is that it doesn’t give you notifications unless if you are online on Facebook at that time when I come on live. If you want to actually get notification regardless of where you are at, you have to subscribe to my YouTube channel. Once you have subscribed to my YouTube channel, make sure you turn on notifications for my channel because once I come on live and when I click the start stream button it will email you instantly and tell you that I’m actually on live. Again, I come on on Facebook and YouTube at the same time just make sure you like my Facebook page and subscribe to my YouTube channel and you’ll get it. The answer is no. You want multiple products in the same niche though. Most importantly you don’t confuse your Facebook pixel. Other than that, that’s all I really have for today for our daily huddle. Obviously, I went more in-depth than I normally actually come on live and obviously it just because I answered the five questions pretty quickly. They were really simple questions. Again, if you want your questions to be featured simply go to www.fredlam.com/ask. Here’s the deal in 2018 right out the gate, I got something that I’m working on right now that you guys will absolutely be blown away. Make sure whatever you do is that you open my emails, follow me on Facebook and YouTube. I don’t use Instagram yet. But maybe I need to one day because obviously Instagram is a very, very awesome area for advertising right now. It is positive ROI for a lot of things that I’m doing so I may be coming to Instagram soon but it’s just a lot of work for me with all these social media stuff. Anyway, I have something pretty massive coming up in 2018 right after New Year so if you want to be the first to know about it, if you guys want to take on it before anyone else, make sure you open my emails, subscribe to my YouTube channel, like me on Facebook so you get all these announcements. Some people are asking what my YouTube channel is. It’s very simple all you have to do is just go to YouTube and search in Fred Lam and you’ll see my face on there and that’s my channel. Listen, tomorrow is Friday I’m going to come on live for our daily huddle to answer five burning questions again. Make sure you are here with us tomorrow. I will probably come on live at around 6PM Pacific 9PM Eastern. I’m trying to make a habit of being to be there at that time. I’m really figuring it out and try to commit on that but I can’t give you my commitment only because the daily huddle needs to revolve around my schedule just that I need to make sure that I get my stuff done. Listen, keep hustling, and keep working on your business. Again, if you guys have any questions go to www.fredlam.com/ask submit your question and I’ll see you tomorrow. Bye now.